If you are looking to build a new home in Maryland, then chances are you are going to need a construction loan. Here you will find information about the basics of construction lending, how to get a construction loan, and the Maryland construction loan lender that has helped Finish Werks clients with forward thinking solutions, and results. The difference between a construction loan and a mortgage-style loan is primarily the lifetime of the loan. A construction loan is a type of short-term loan that lasts only a few months up to a few years (for very elaborate site built projects). Mortgage-style loans tend to be over much longer periods of time. Construction loans are, as their name would imply, meant to last only through the construction period for the new home you are financing. Construction loans typically require interest-only payments during construction and become due upon completion. Completion for homeowners means that the house has its certificate of occupancy (aka U&O). “These programs combine the construction and permanent financing of your project. You qualify for the loan once, lock in the permanent rate, sign one set of loan documents and have up to 12 months to complete your residential construction project! You can finance the lesser of 85% of the cost of construction, or up to the following loan to values, depending on the income documentation that you will supply. Or Value if Owned Over a yr. The following is an example of how to calculate the loan amount, for a fully document loan, providing the borrower is also qualified. Step 2: $500,000 x 80% = $400,000 Refer To The Table. Step 4: $385,000 - $327,250 = $57,750 Min. Down Payment. Construction loans are often referred to as "story loans" because their terms and availability are subject to the story you tell your potential lender. 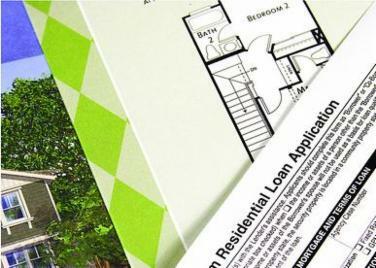 The lender has to know the story behind the planned construction project before they are willing to loan you money. If a lender believes that the building project will be valued high enough by an Appraiser to merit the contract cost, or that the applicant has the means to effectively pay back the construction loan, the terms will vary accordingly. For those with weak credit or little collateral, it's extremely difficult to secure a construction loan. What's more, the lender will scrutinize the viability of the applicant's contractor or home builder, and approval will also hinge on the outcome of this scrutiny. Avoid acting as your own General Contractor, be forthright with your application information, and communicate often with your custom home builder to ensure your custom home or addition is designed and specified clearly enough to earn the approval of your lender. What Happens if I'm Stuck Without a Lender? Finish Werks lets you choose any reasonable lender that gives you favorable terms, but let's face it, now more than ever, there are few construction lenders out there willing to finance the construction of your custom home or addition (as of summer '09). How will you ever build your dream home if you can’t get a construction loan in Maryland to do it? If you’ve already gone to your bank and tried prequalifying for a construction loan, but were turned away because you didn’t have enough cash, equity or credit, don’t despair. We understand your frustration because we have clients eager to build who also find themselves stuck without a loan because of the nearly frozen credit markets. If you are having trouble finding a Maryland construction loan lender, talk to your builder (hint: us!). We’ve built homes in the past, and those homes required construction loans, so we know which lenders you actually have a shot with. We’ve said it before, but just as a reminder: Finish Werks will work with just about all lenders that will work with us. However, we recommend contacting Tom Coronato at Citizens Bank on our resources page. Tom's goal is "to help you cut through the clutter and noise in the mortgage marketplace, so you can quickly and efficiently find a loan that meets your objectives, and keeps construction adequately funded."